Staggering malnutrition rates have put millions of children at risk — and ongoing drought, crop failures, armed conflict and skyrocketing food prices are to blame. In the worst-hit areas of South Sudan, Nigeria, Kenya and Uganda, one in three children are barely hanging on. The results are painfully clear: children with bloated bellies and broken immune systems … weak from hunger … crying in pain. 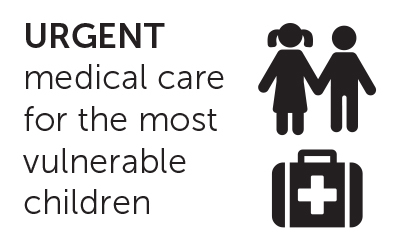 Without immediate help, children will die. Those with disabilities are most at risk. Mrs. Ncube is one of millions of Africans suffering from a severe lack of food and water. Ongoing drought has made villagers in her community more vulnerable than ever — and those with disabilities suffer most. Mrs. Ncube’s son, Bruce, has hydrocephalus (water on the brain). He requires constant care, which leaves Mrs. Ncube unable to work and reliant on the kindness of others. Without a steady income, she can’t provide Bruce with the healthy food he needs — and his condition has worsened. Their community is in crisis. Less than 450mm of rainfall has fallen each year for the past three years — and when the rains don’t come, crops wither and livestock die. Because she is always with Bruce, Mrs. Ncube struggles to walk the long distances necessary to find clean drinking water. Mobility issues also make it difficult for her to access humanitarian aid and health care. The situation is truly desperate. Acute malnutrition rates are staggering in South Sudan, Nigeria, northern Kenya and northeast Uganda. 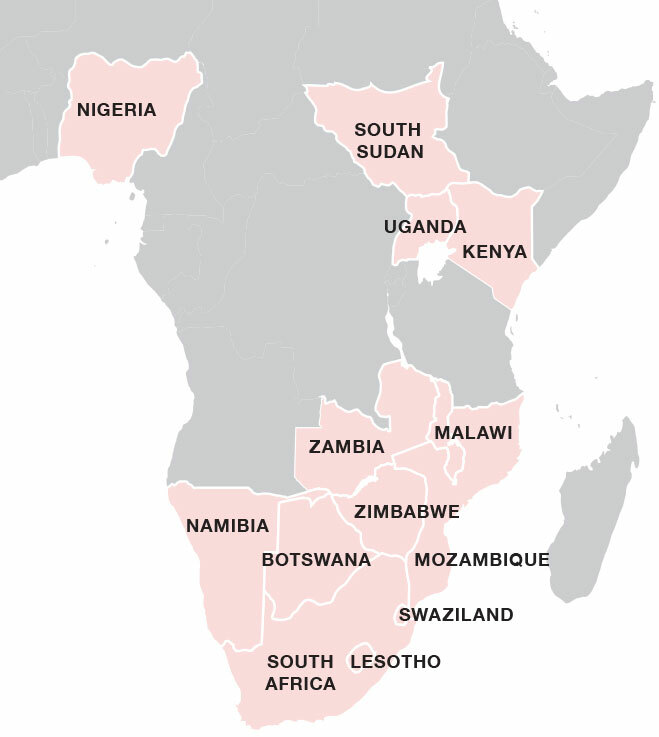 In southern Africa, families are desperately waiting for the next harvest after the El Nino-related drought and resulting food crisis. The numbers are overwhelming. In the worst-hit regions, one in three children are struggling to survive. Successive rains have failed. Crops have withered. Livestock are dying. The causes are complex: climate change and erratic weather patterns, armed conflict and violent extremism, the skyrocketing cost of food, and collapsing livestock prices. 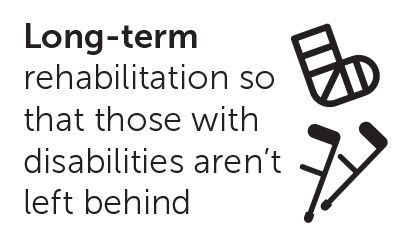 When food runs out, children and families living with the added challenge of disability are even more at risk, more vulnerable. 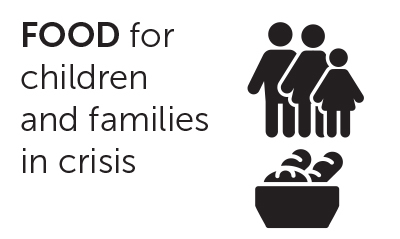 Even when food aid is available, these families have a harder time accessing it. Please join us in helping these precious children so they aren’t overlooked. We know that children with disabilities are especially vulnerable. We also know that whenever parents have a disability, access to humanitarian aid in a crisis is much more difficult. We can only reach starving children and families with your help. Please give now — your generous support becomes more vital each day.